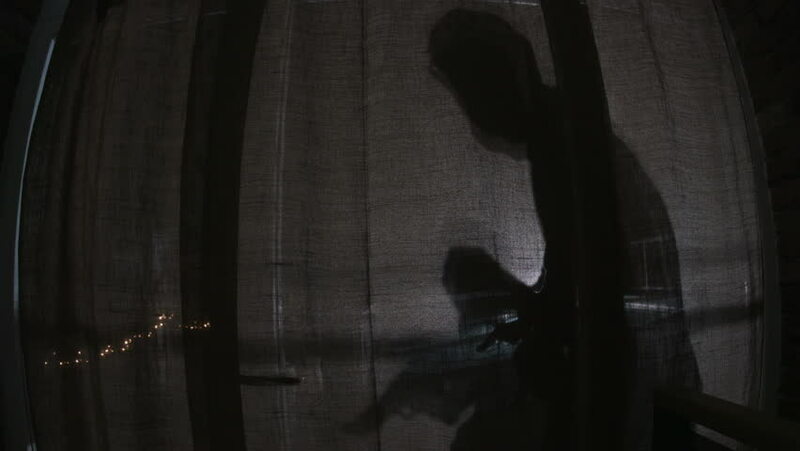 Shadow of man with gun and backpack walking on balcony. Armed intrude kicking in door and picking lock. Darkness. Danger. 4k00:12Terrible shadows of two tall men with scrap and gun in hands walking near windows at night. Danger. House. Darkness. hd00:14VIRGINIA - SUMMER 2015 - Re-enactment recreation of historical, 18th & 19th century African/Caribbean VooDoo black arts and religious ceremony with dancing, possession and symbols - skulls, skeletons. hd00:19UNITED STATES 1940s: Man attaches strings to puppet's head. 4k00:16A retro movie projector with moving film strip with black background. Closeup.